One of the most useful features of Mac OSX is the ability to speak to your Mac and have it translated into text. This document is a basic overview of that functionality. 1. 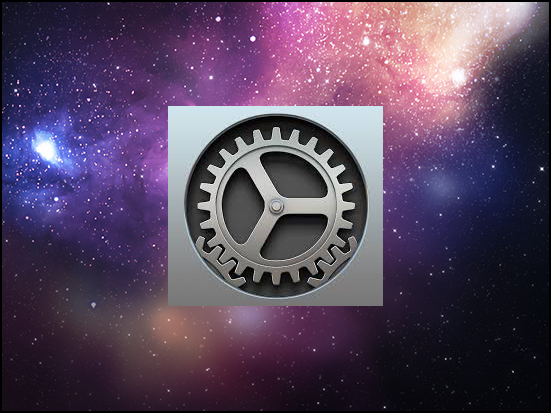 Open the System Preferences application. 2. Click on Dication & Speech. 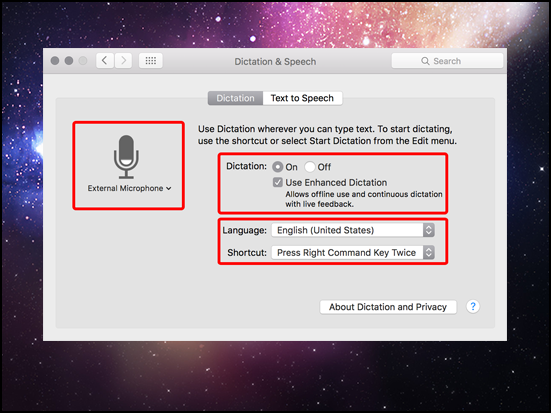 Choose the shortcut to use dictation. 4. 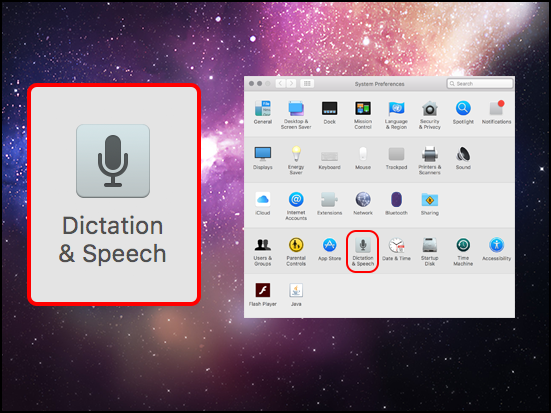 In any place you would normally place text, you can now enter the shortcut and dictation will engage.